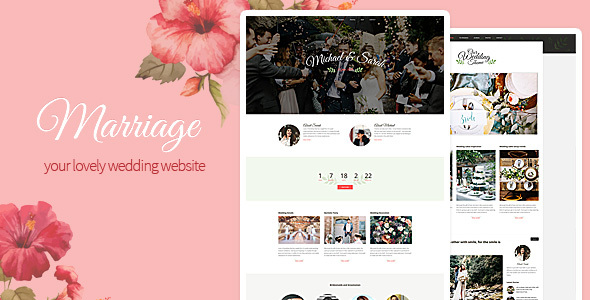 “Marriage WordPress Theme” is the best selling WordPress theme in Wedding category on themeforest. Has been choosen by over 2000 couples because of his unique design and features. 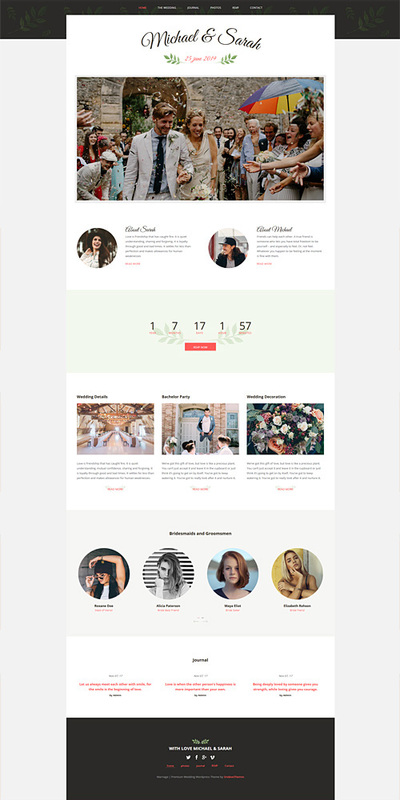 It’s a simple theme, with a simple and easy to use custom admin panel. The unique design can be easily customized from the CSS file, and from the custom color picker admin panel. 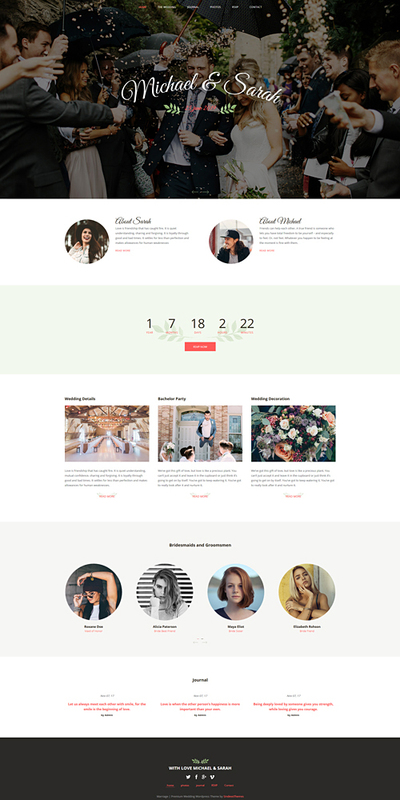 With this theme you can create you wedding website, or a wedding blog. Created with mobile specialists from our mobile department SINDEVO mobile. Check SINDEVO profile on themeforest for high quality mobile products. 1. Download the archive again, it’s free, from your themeforest account. 2. Replace the files of the theme from your server. 3. 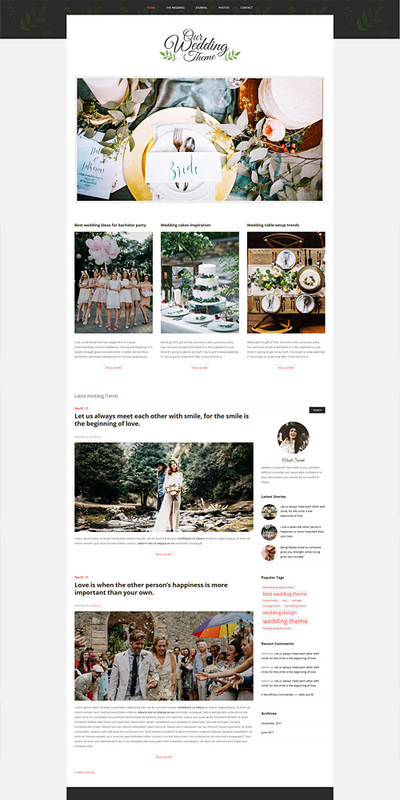 You will have to add new content for sections like home page slider, carousel and photo album page. We recommand importing our demo content using the XML file provided in the archive. 4. RESET the custom admin panel from the RESET tab.